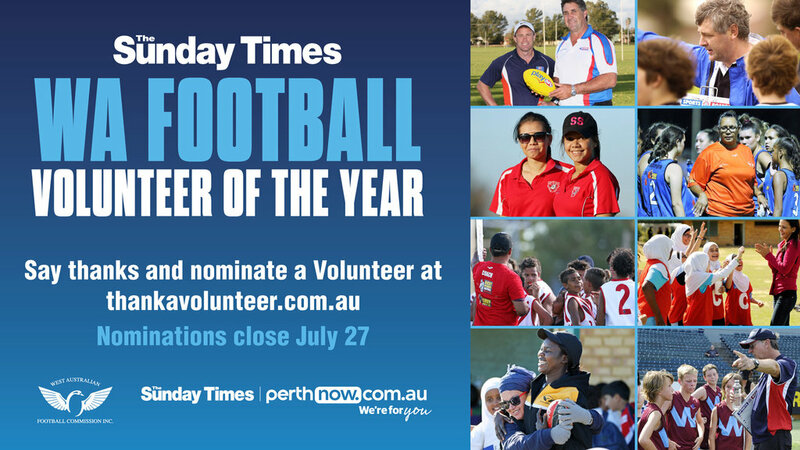 Football clubs across Western Australia are urged to nominate their volunteers for The Sunday Times WA Football Volunteer of the Year Award. Nominations for the 2018 award are now open to recognise the hard work and commitment of WA’s footy volunteers with a free trip to the AFL Grand Final. 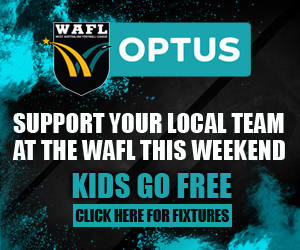 Finalists will be selected in each of WA’s 17 football Districts and Regions and invited to attend the 2018 WAFL Sandover Medal Count, where the overall winner will be announced and receive a trip for two to the 2018 AFL Grand Final, including flights and accommodation. Last year, Tom Busher from Bunbury was recognised for his significant contribution and leadership in the growth and development of football in the South West region. West Australian Football Commission Executive Manager Engagement and Community Football Troy Kirkham thanked all of WA Football’s dedicated volunteers and said he was looking forward to seeing a record number of nominations in 2018. “More than 2000 volunteers were nominated by their footy club in 2017 and we’re hoping even more nominations will be submitted this year,” he said. 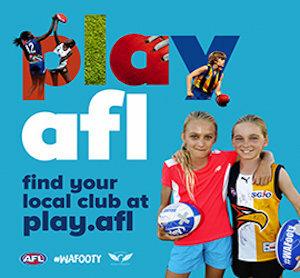 This document contains the Terms and Conditions under which the West Australian Football Commission (ABN 51 167 923 136) (Promoter) will offer rewards under its The Sunday Times WA Football Volunteer of the Year (Competition). The Program commences at 9:00am (WST) on Sunday 13 March 2018 and concludes at 5:00pm (WST) on Friday 27 July 2018 (Competition Period). You can nominate any person or persons who have undertaken paid or volunteer service at their local football club. There will be 17 finalists, 1 from each District and Region, announced in The Sunday Times and through the WA Football Commission. In this program, commencing at 1:00pm (WST) on Sunday 13 March 2018 and concluding at 11:59pm (WST) on Friday 27 July 2018, the finalists will be announced on Sunday 19 August 2018. Whilst the overall winner will be announced at the 2018 Sandover Medal on Monday 17 September. a) Must have given notable voluntary service to Australian Football. b) Must be a willing voluntary contributor, having received no income from football (NB Honoraria accepted). c) Must be an ambassador for the game of football who acts and works for the best interest of the game, never bringing the game into disrepute. The Sandover Medal tickets are non-transferrable and cannot be redeemed in cash or something of the equivalent value. 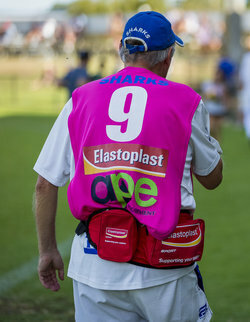 They can only be used at the 2018 Sandover Medal by the 2018 Volunteer of the Year finalist. The overall prize total value is approximately $6,500. The Ultimate AFL Grand Final Package is non-transferable and must be used by the winner of the 2018 Volunteer of the Year. The overall prize cannot be transferred for that of equivaled value and cannot be redeemed for cash. The Finalists will be notified through email or phone by a West Australian Football Commission official employee. Finalists of the prizes must supply the WA Football Commission with a valid postal address, email address, phone number and photo once told of their prize. If a successful Participant of the prize does not respond to the notification within 48 hrs of the WA Football Commission notifying them that they are a finalist, they will no longer be entitled to the prize and the prize will be re-awarded to the next participant selected. The prize is not transferable for cash or interchangeable for another prize. The prize is not transferable and must be utilised by the winner outlined in the ‘nominee’ section when the nominator is submitting the applicant. The warranty on the goods and services obtained as a result of the Competition remains the sole responsibility of the supplier/service provider of the Prize. The Promoter reserves the right, at its sole discretion, to cancel, terminate, modify, extend or suspend the Competition at any time without notice. 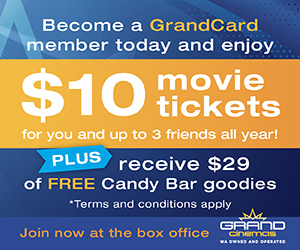 By participating in this promotion, the promoter has the right to obtain the nominator and nominee email address to be added to the West Australian Football Commission’s e-marketing database for WA Footy News. The email address will not be sold to a third party. By participating in this competition, Participants acknowledge that they may be required to sign the Terms and Conditions of the prize issuer in order to redeem the prize. Participants agree to comply with those Terms and Conditions, including but not limited to any expiry date, and release and indemnify the Promoter for any liability in relation to the prize or the issuer. c) if the prize is a gift voucher, the failure by the issuer to honour the gift voucher; or the Terms and Conditions under which a prize is issued. By entering the Competition, the entrants hereby give the Promoter consent to use their name, likeness or image (including photograph or recording) (should they be the Winner or Replacement Winner) for an unlimited period without remuneration for the purpose of promoting this competition. A photo may be taken of the Winners (or Replacement Winners).